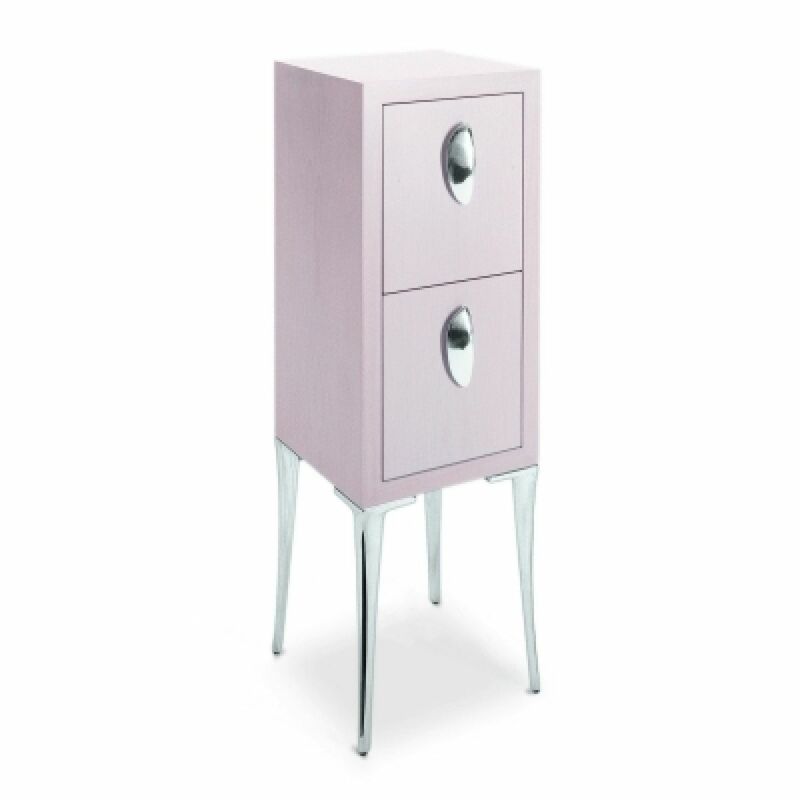 This service cabinet is structured with laminate, it comes with 2 draws and doors. feet in polished aluminum. Made in Italy.